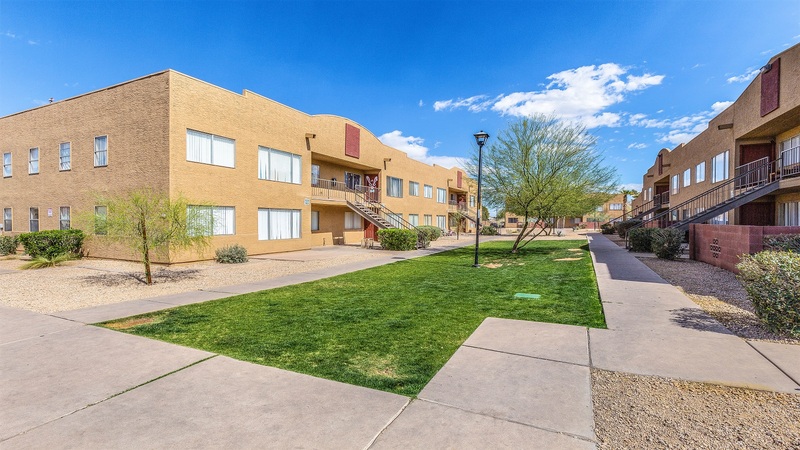 Phoenix, AZ – August 16, 2018 – ABI Multifamily, the Western US’s leading multifamily brokerage and advisory services firm, is pleased to announce the $5,250,000 / $65,625 Per Unit sale of Brighton Place Apartments located in Phoenix, Arizona. Built in 1988 of frame construction, Brighton Place is a garden-style apartment community that features 80 units in 8, two-story buildings. The property rests on approximately 4.68-acres with a unit mix that consists entirely of two bedroom units with an average size of 703 SF. Units feature air conditioning/heating, private patio / balcony, walk-in closets, and all-electric kitchens equipped with a garbage disposals, dishwashers, and breakfast bar. Additionally, each unit has its own individual water heater. This community also provides its residents with a swimming pool, a leasing office, laundry facilities and lush landscaping. "The seller purchased the property back in 2010 through a lender receivership sale at the market’s bottom," states Rue Bax, Senior Managing Partner, who represented the seller in the transaction. "By end of 2017, the sellers had completed a general renovation of both the exterior and some interior units of the property." "The buyer is an experienced multifamily investor with thousands of apartment units owned across the Valley," states Alon Shnitzer, Senior Managing Partner, who represented the buyer in the transaction. "With the South Central Extension of Light Rail set for completion by 2023, the buyer hopes to capitalize as this project ramps up and opens the entire area to redevelopment." The Buyer, Cody Drive Apartments, LLC, was formed by a private investment firm based in Los Angeles, CA. With this latest acquisition, the parent company and its subsidiaries currently control over 4,000 apartment units in the Arizona Market. The seller was a private partnership based in California. The multifamily brokerage team of Alon Shnitzer, Rue Bax, John Kobierowski, Eddie Chang and Doug Lazovick represented both the buyer and seller in this transaction.